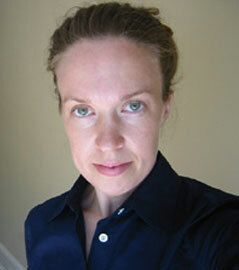 Janine Solberg holds a Ph.D. in English with a specialization in writing studies from the University of Illinois at Urbana-Champaign. Her research interests span the field of writing studies, though she is particularly interested in studying intersections of gender, technology, and literate activity, as well as technical communication, digital media, digital humanities, and information design. She is currently working on a historical monograph provisionally titled "From Pretty Typewriters to Business Girls: Literacy, Gender, and Technology in Early 20th Century Career Advice Literature for Women Office Workers." She has published in Advances in the History of Rhetoric, Literacy in Composition Studies (LiCS), and Kairos. Prof. Solberg co-directs the department's Professional Writing and Technical Communications Program (PWTC). She teaches courses in the PWTC program, the Composition and Rhetoric graduate specialization, the Study and Practice of Writing undergraduate specialization, and the IT Minor. Introduces principles of software technical writing and documentation. This course simulates the writing and editing processes used in the computer industry; students write a 20-25 page manual documenting a software product, usually Microsoft Word. Continues and extends the work of ENGL 380. Students will learn and apply principles of software documentation, information design, typography, and page design. The objectives of this course are to increase students' writing, organizational, and graphical sophistication and to enable them to produce portfolio-quality documentation that introduces an audience to industry-standard software (typically, Adobe InDesign, Adobe FrameMaker, or MadCap Flare). This course offers an introduction to web design aimed at English majors, though students from any major are welcome in the course. Students will learn HTML (hypertext markup language), which is what gives a web page its structure, and CSS (cascading style sheets), which is what gives a web page its style. Students will come away from the course having created a professional portfolio that they can use when applying for jobs or internships. Note: this course appears in Spire as "Advanced Software," but that really just means that we're advancing beyond Microsoft Word. This seminar introduces students to historical scholarship in Composition and Rhetoric, with particular attention to historical work on women and gender in the late 19th and early 20th century United States. We will familiarize ourselves with some key conversations that Comp/Rhet scholars have had about the aims and methods of historical scholarship; seminar participants will also have the opportunity to explore history as a methodology by identifying a subject of historical research and pursuing that subject through hands-on work with archives and primary source documents. Wednesdays 12:30-1:30, Thursdays 2:30-3:30, and By Appointment.